Real estate is an investment. Often a home is the largest investment a person makes and we have made more money buying and selling real estate than any other investment. We want to help you do the same. Be smart with your money! 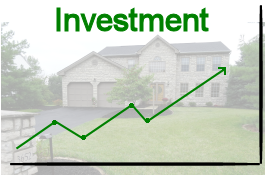 Be smart with the investment you make in a home! When buying and selling real estate it is to your advantage that you work with both experienced Realtors and those who know the local real estate market. We have been in central Ohio over 45 years and know the area! It is to your advantage that you work with The Selling Columbus Team. Contact us today to get smart advice on buying or selling real estate. Our service is free for buyers! Let us help you find the home with the features you want and if you need to both sell and buy we offer discounts. We want you to make a lot of $$$$$ when you sell your home! That is really what growth rate is all about, and why we look at it in our neighborhood statistics. Growth rate is the percentage that a home went up in value. It is better to love your home and make $50,000 when you sell, than to love your home and make $25,000. It is August and Joe and Sue are looking for a home. They decide to have a new home built in a nice subdivision. The rates are great and they can get into it for very little money down, plus the monthly payment is very affordable. Joe and Sue buy a new home for $198,275. Everything is going great with Joe and Sue. They love their home. They are glad they decided to have a new home built. Then in the summer, after living in their home for a couple of years, Joe gets a great job offer out of town. Joe and Sue decide he should take the job offer and they will move. J oe and Sue meet with a Realtor and have their home put up for sale. The home has a few showings, but does not get any purchase offers. Taking the advice of their Realtor, Joe and Sue decide to lower the price. Now they will not make as much money as they had hoped, but Joe has to leave town for his new job. Lowering the price should bring in a few purchase offers. 3 more months go by, there are a few more showings, but still the home sits without any purchase offers. Joe and Sue believe a new Realtor will make the difference. The home is put up for sale with a different Realtor. Joe and Sue list their home for sale, but now they are really anxious to sell, so they lower the price again. This will mean taking a loss, but it is worth it to get the home sold. Again more showings, but no purchase offers. 3 more months go by, Joe and Sue are really feeling desperate to get their home sold. They tell their Realtor they are willing to take whatever offer is made. Finally, after 241 days on the market, an offer comes in. 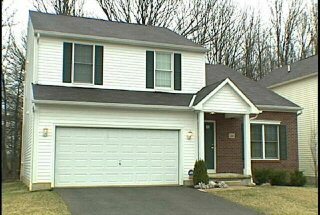 Joe and Sue sell their home for $178,000. This story, while made up for the example, happens repeatedly. The numbers are real and taken from a home sale in central Ohio. This particular home sale resulted in a loss of over $20,000. Below are the statistics on the new homes used for this story. The statistics can be found at the Delaware County Auditor website. We compare the home from the story with a very similar new home, which from a financial standpoint, would have been a better purchase for Joe and Sue. The new homes compared below were built at the same time (same market period) and at a similar price. How much money did you make when you sold your home? How much did your home go up in value each year? In our Neighborhood Stats Report we list the average growth rate on each home that sold. Average growth rate is the percentage that the home when up in value each year, on average. The home may have gone up in value 4% one year and 6% next. This would be an average growth rate of 5% per year. in determining whether you should take a particular offer when you are selling your home. in determining when you have 20% equity and should hire an Appraiser to get rid of costly mortgage insurance, if you have it on your mortgage. 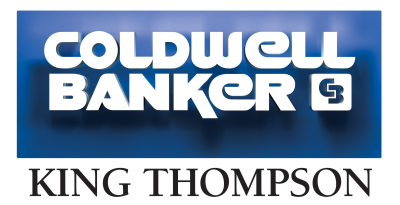 The Selling Columbus Team has been in thousands of homes throughout Columbus and central Ohio. We can help you find a home with the features you are looking for and one that is a good investment for your money. 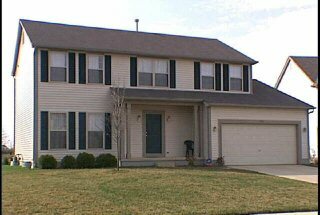 Combining our knowledge of central Ohio with detailed search parameters we locate the home for which you are looking. Contact us today and let's get started finding you a great home and a great investment!